The Squint treatment is handled by an expert surgeon with a vast experience handling a large number of squint cases. 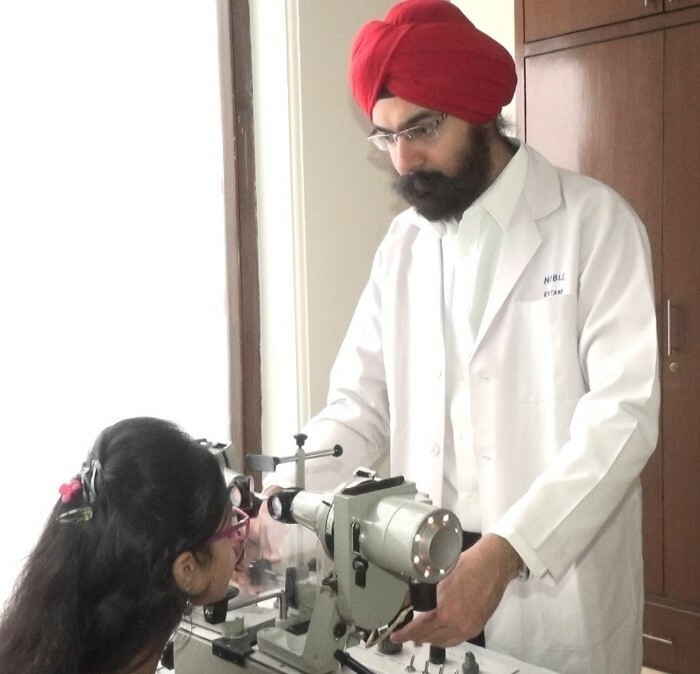 The service offers management of squints in children and adults with squints including infantile strabismus, intermittent squints, paralytic squints secondary to nerve palsy, restrictive squints and many other special forms. A dedicated facility with a child friendly environment ensures a pleasant experience for children visiting the premises. Surgical expertise encompasses adjustable surgeries, microincision surgeries and stitchless procedures apart from the standard ones. The service is tuned to provide the best possible outcomes for squint through a protocolled approach to treatment. In addition, the squint service also handles and follows up cases of amblyopia. A squint is a condition where the eyes point in different directions. It is a misalignment of the eyes. One eye may turn inwards, outwards, upwards or downwards while the other eye looks forward. The medical name for a squint is strabismus. The exact cause of a squint is not always known. In most cases, babies are born with a squint or develop one because of a problem with their vision. If a baby is born with the condition, it is called a congenital squint. Squints that develop later are called acquired squints. Other eye problems, such as abnormal development of the muscles that move the eye, or a problem with the retina (the layer of light-sensitive nerve cells at the back of the eye). What are tests done to help diagnose and manage squint? Other tests may also be needed to determine whether glasses are needed. Retina and optic nerve examination to make sure there are no other problems. In most cases, eye drops will be used to widen the pupils before the eyes are examined. This will make it easier for the ophthalmologist to study the back of the eyes and measure the eye power correctly. Other tests for squint involve measuring depth perception, evaluating double vision and synoptophore evaluation. Glasses are one of the most common treatments for squints. They can be used to correct the vision problems (refractive errors) that may be causing the squint, such as short-sightedness (myopia), Long-sightedness (Hyperopia) and astigmatism. It can be injected into one of the muscles that move the eye. The injection temporarily weakens the injected muscle, allowing the eyes to realign. The effects of botulinum toxin usually last around three months. After this time, the eyes may stay in position or they may go back out of alignment and require further treatment. Why is Noble Eye Care considered one of the best eye clinic or best eye hospital for squint? - Highly experienced surgeon, specifically trained in squint from AIIMS New Delhi.